Last week 16 Young Leaders from Sponne took park in a training event in preparation for the forthcoming Mini Reds Tennis Tournament on Thursday 10 May 2018. 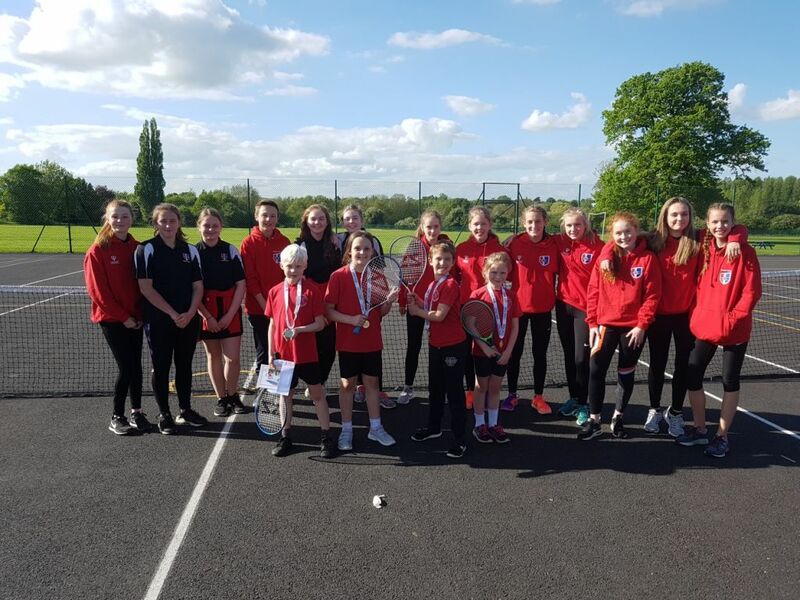 Schools from the Sponne cluster bought along their budding tennis stars to compete in a round robin style tournament, the winner on the day would be crowned cluster champions and compete in the district final on 20th June. All Schools competing showed a high level of skill and were a joy to watch. They represented their schools impeccably and displayed fantastic team spirit. Overall the tournament went great and it was a good learning experience for us as leaders. Hollie Reynolds and Rebecca Lytollis.